• The affair was subject to scrutiny in the Houses of Parliament, including by the Education Select Committee. Yet there are grounds to believe that the evidence presented to the house in the Clarke Report – presented by Nicky Morgan MP, the former secretary of state for education – was incomplete and misleading. • Evidence that would have supported a different conclusion, namely that the takeover of schools was part of an improvement programme supported by Birmingham City Council and the Department for Education, was withheld. • The nature of this evidence has come to light following the collapse in May 2017 of professional misconduct cases brought against teachers associated with Park View Educational Trust. • The cases collapsed because of serious improprieties on the part of lawyers acting for the National College of Teaching and Leadership (the agency then responsible for teacher standards), including the non-disclosure of relevant evidence. • In fact, the cases were the first opportunity for that evidence to be challenged, as most of it was, just as exculpatory non-disclosed evidence was put forward and not reported on as a consequence of the collapse of the cases. The teachers were, in fact, denied the exoneration that was their due. In the light of this, a request for an investigation is being brought to the Office of the Parliamentary Commissioner for Standards. This alleges that Nicky Morgan misled parliament and in doing so breached the ministerial code as well as her duties as a member of parliament. The full text of the request is available for download. The request is brought by Professor John Holmwood, an expert witness for the defence in cases brought by the National College of Teaching and Leadership. The affair represents a serious injustice visited upon teachers and governors, as well as parents and pupils linked with the schools. It has also had a profound effect on public policies that have created anxieties about the integration of British Muslims and have diminished our civil liberties. Claims of a ‘plot to Islamicise’ schools in Birmingham became a major media story in early 2014. Dubbed the Birmingham Trojan Horse plot, it sparked rapid interventions first by the government and subsequently by Birmingham City Council (BCC). These included investigations of 21 schools by Ofsted; a report commissioned by the former secretary of state for education, Michael Gove (the Clarke Report); and a report for Birmingham City Council (the Kershaw Report). The findings of these investigations were accompanied by vigorous statements by Michael Wilshaw, then the chief inspector for schools, as well by Michael Gove and Nicky Morgan. The Trojan Horse affair has had great significance for public policies associated both with education and the government’s Prevent agenda. For example, a duty on schools “to promote fundamental British values” was adopted in November 2014, and the affair was used the following year as the primary example of “extremist entryism” that would be guarded against by a new counter extremism strategy. These initiatives have gathered apace with the creation of a new counter extremism unit in 2017 and a counter terrorism and border security bill currently on its way through parliament. The government has now moved from a concern with ‘safeguarding’ vulnerable children and individuals to criminalising extremist speech. The government’s concern with extremism is presented in terms of a failure of some communities to integrate and support British values. They have presented the Birmingham Trojan Horse case as exemplifying this failure. However, part of the non-disclosed evidence involved exculpatory evidence given to the Clarke Report (and, by association, to the Kershaw Report) by school improvement officials in the Department for Education (DfE) and BCC, as well as by a representative of the Birmingham Standing Advisory Council on Religious Education (SACRE). The fact that Park View school had been a failing school in 1996, but by 2012 was in the top 14% of schools in the country was absent from nearly all media reports and official investigations. Instead, the dominant narrative was that good head teachers were beset and bullied by parents and governors seeking improvement. At the heart of the affair was a successful school that was attacked by government and media. At the heart of the affair was a successful school that was attacked by government and media. This success occurred in the context of 98.9% of its pupils coming from Muslim heritage backgrounds, with 74% in receipt of free school meals and just 7.4% with English as a first language. It is precisely this achievement that made it the focus of the schools improvement strategies of both the local council and the DfE. The ‘takeover’ of other schools and the formation of the Park View Education Trust, then, was at the behest of Michael Gove. The trust was accused of having a religious ethos which would have been appropriate in a faith-designated school, but not in a “secular state school”, as the Clarke Report put it. Nowhere was it stated that all schools in England are legally required to teach religious education and provide daily acts of collective worship (even if many do not do so). Normally this is of Christian character, but it can be varied by a ‘determination’. 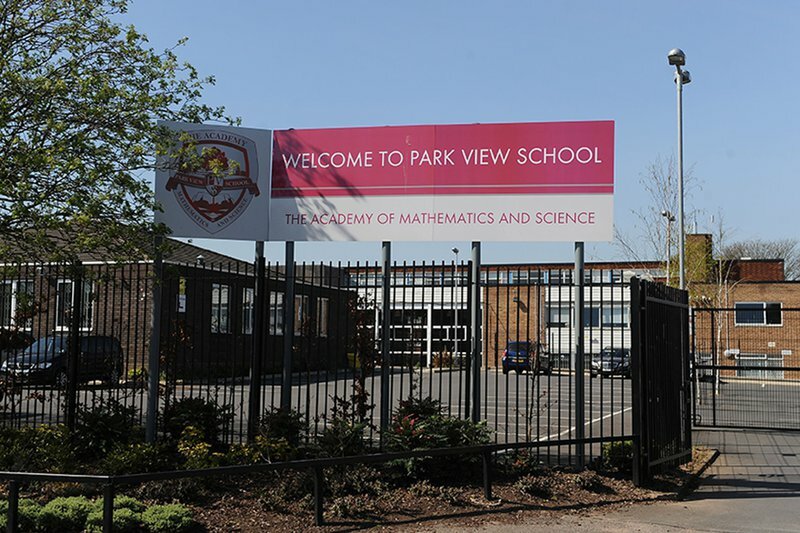 Although Park View school had become an academy in 2012, it continued to teach the local SACRE-approved religious education curriculum and had been granted a determination for Islamic collective worship as early as 1996. Since then Ofsted inspection reports had commented approvingly of its management of the spiritual needs of its pupils and the atmosphere of tolerance in the school. This evidence was presented to the Clarke inquiry, but was not commented upon in the subsequent report. A play by LUNG theatre company based on interviews with those involved, official reports, and transcripts from the cases was recently put on to great acclaim at the Edinburgh Fringe Festival, where it won Amnesty International’s Freedom of Expression Award. It was attacked by Nick Timothy, who declared that those who continue to challenge the Trojan Horse ‘findings’ risk “playing the Trojan Horse extremists’ game”, and by Andrew Gilligan, who claimed it “distorts the truth of how Muslim hardliners took over Birmingham schools”. The charge of extremism is visited upon those who question the government’s narrative and it is one that, should the government’s proposed counter terrorism and border security bill be passed, will invite scrutiny as itself a criminal activity. It is time for an investigation into the misrepresentations associated with the Birmingham Trojan Horse affair, which have damaged community relations and led to the introduction of legislation with chilling consequences for civil liberties.